Taj MuttHall Dog Diary: Dear Taj MuttHall, Where Have You Gone? 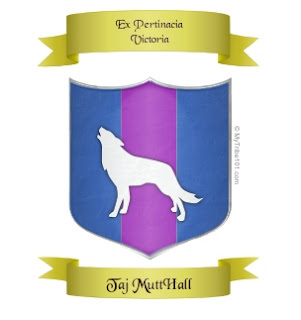 Dear Taj MuttHall, Where Have You Gone? I am sad that you haven't been posting. One post in each of January, February, and March (so far)? Truly that's all? And nothing about life with dogs--or life at all, just some nice photos. Which are nice, of course, but I was hoping for substance. And dogs. You intended this as a journal for yourself, to look back at from your Future Life and marvel at the progress that you made with each canine beasties and all of the things that you did together. But words seem to have failed you. I understand that your Mom died two days after Christmas, and then you went to work clearing out the family home of 48 years and putting it on the market. And that you've been wrung dry of things to say or energy to say it. I miss you, Taj MuttHall. I read some of your older posts from way back, and they make me laugh, or think, or sing. Please find yourself/myself again. Your friends miss it too. But we know you need space and peace and time. So we will be patient. Please be patient with yourself too. Hugs.